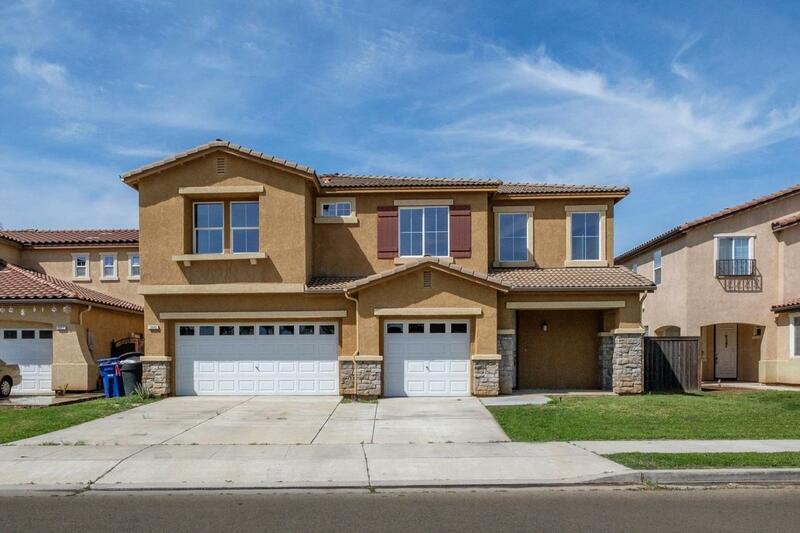 This beautiful 2-story located in Sanger has 4 bedrooms and 2.75 baths, SOLAR and is conveniently located near shopping and Sanger High School in a wonderful neighborhood. Light and airy with 2487sf of living space, the heart of the home is a generous kitchen and family room with a fireplace, dining area, granite counters, plenty of cabinet storage, center island with counter seating and updated appliances. Just off the kitchen is a separate laundry room with sink, built-in cabinets and ample counter space. Bedrooms and a second family room are located upstairs. The master has en-suite bathroom with dual sinks, soaking tub and separate shower. French doors provide access to the balcony. The second upstairs bathroom also has dual sinks. This home has beautiful laminate flooring and tile throughout. The backyard has a large covered patio perfect for entertaining. A 3-car garage and a 6000sf lot finish out this beautiful home. Listing provided courtesy of Bryan Martin of Keller Williams Fresno.